Stephen C. Meyer is director and Senior Fellow of the Center for Science and Culture at the Discovery Institute, in Seattle. 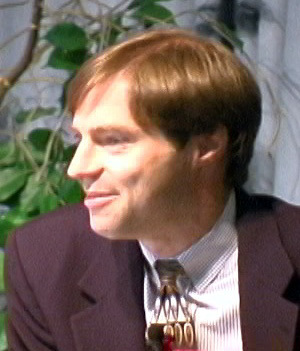 Meyer earned his Ph.D. in the History and Philosophy of Science from Cambridge University for a dissertation on the history of origin of life biology and the methodology of the historical sciences. Previously he worked as a geophysicist with the Atlantic Richfield Company after earning his undergraduate degrees in Physics and Geology. Dr. Meyer has recently co-written or edited two books: Darwinism, Design, and Public Education with Michigan State University Press and Science and Evidence of Design in the Universe (Ignatius 2000). He has also authored numerous technical articles as well as editorials in magazines and newspapers such as The Wall Street Journal, The Los Angeles Times, The Houston Chronicle, The Chicago Tribune, First Things and National Review.